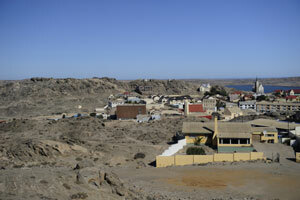 Namibia hotels, accommodation and places to stay. 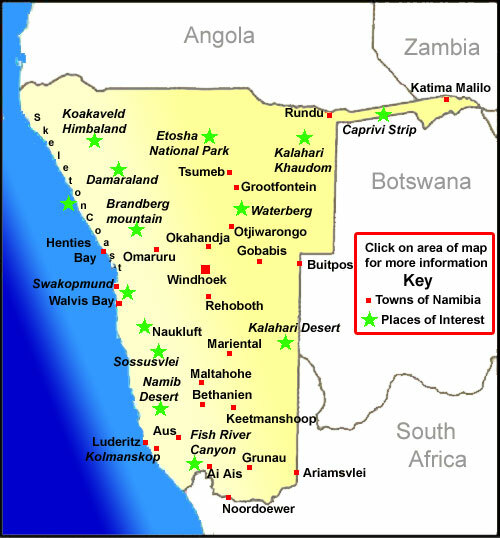 Guide to where to visit and where to stay in Namibia. Namibia a land of vast landscapes, fascinating culture and plentiful wildlife. 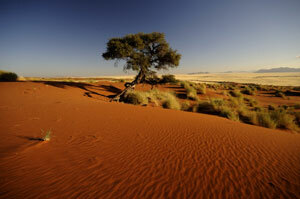 A holiday to Namibia will excite and entertain with breathtaking mountains, huge deserts and friendly people. Try a safari to Namibia with one of the expert safari companies that will look after you as you explore this fantastic country on the Southern African coast. A self drive safari is also a great way to discover Namibia with plenty good hotels, lodges, guesthouses and camp sites in all the main areas. 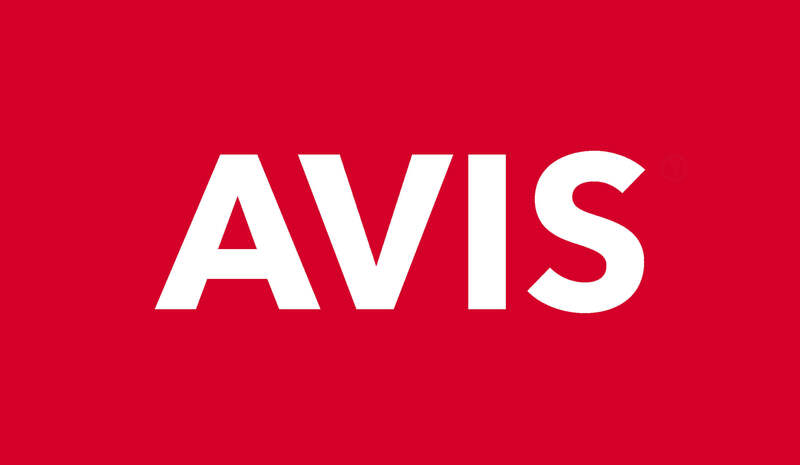 Renting a car from Avis is easy online and comes with support from industry leaders for peace of mind. Etosha National Park is one of the first places you will want to include on your holiday to Namibia. At a staggering 22,270 square kilometres, it is one of the largest National Parks in Africa. 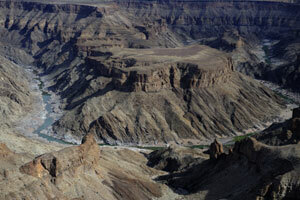 A long way from anywhere and either on route to Luderitz or Cape Town, the Fish River Canyon and Kalahari Desert Area is a vast area dominated by sheep and cattle farms and an increasing amount of conservation game ranches. The Namib Naukluft Park is the central part of The Namib Desert. Sossusvlei, Sesreim Canyon and Dune Forty Five being the most well known destinations. Sossusvlei’s uniqueness, make it one of the most popular ‘ must sees’ on any itinerary to Namibia. At 325m Sossusvlei’s dunes are the amongst the highest in the world. Swakopmund’s temperate climate offers respite from the searing heat of the desert. Completely different from the rest of the Namibia, it allows you to indulge in a variety of ocean activities and adventures. 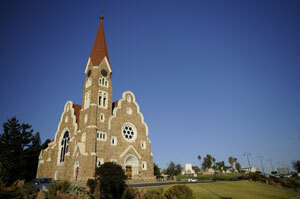 With all the modern conveniences of a city, Windhoek usually marks the start of any trip to Namibia. With its international airport most holidays to Namibia start and end in Windhoek. Stay at comfortable hotels and totally escape from the outside world in Luderitz..
Take desert excursions to Kolmanskop including the wild horses of Aus. Damaraland is a spectacular self drive destination. 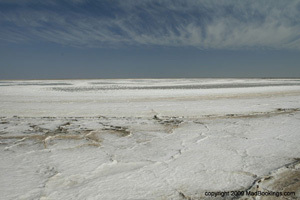 Sandwiched between the Skeleton Coast in the West and the Etosha National Park in the north east of Namibia. Damaraland has a variety of places to see and activities to do. 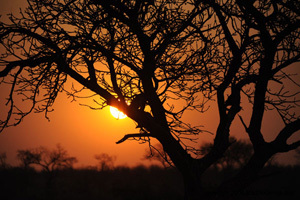 Waterberg Plateau area is most famous home to Okonjima Lodge and the AfriCat Foundation. 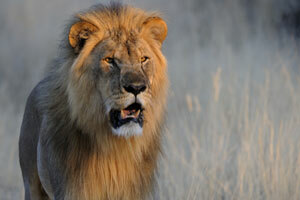 The work being done here is ground breaking and ensures reintroduction into the wild of some of Namibia's predators. Escape the crowds in the remote and awe-inspiring Caprivi Strip in the north east corner of Namibia. With its woodlands, rivers and swamps, The Caprivi Strip is unlike any other part of Namibia and is usually a complete surprise for the first time visitor! Not a fence in sight and barely any sign of civilization, Kaokoland is a true wilderness area. The Kaokoveld is a rugged wilderness for the intrepid adventurer, accessible only by 4 wheel drive or light aircraft. This part of Namibia is home to the Himba people and their traditional nomadic lifestyle.